Affiliate marketing is booming. Part of the reason for its success is the ability of publishers to react and adapt to emerging consumer trends. 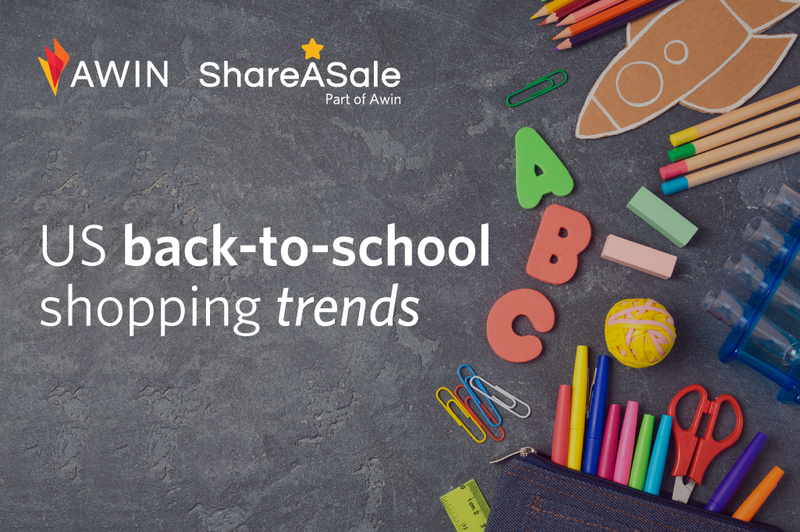 Back-to-school season is a prime shopping time in the US as a change in routine encourages spending. This whitepaper analyzes major learnings from the 2017 season across the Awin + ShareASale networks, and shares key trends and shopping patterns to help our partners apply better strategy behind their promotions in 2018. Aggregating data from advertisers across both networks – ranging from books, supplies and the apparel sectors – we examined performance during and prior to the 2017 back-to-school season. While summer holidays like July 4 and Labor Day impact promotions, sales and shopping patterns, the results still indicate a strong period of consumer spending. Findings indicate advertisers who follow trends and strategically prepare for the back-to-school season will win. Our data shows an 85% revenue lift from books, 113% increase in paper supplies and a 9% overall revenue lift across verticals for the season. Mobile sales are on the rise, and orders are predominately generated from existing customers. While price is important, customers are also looking for convenience and alternative ways to get their merchandise. This consumer movement provides the perfect opportunity for affiliate marketers to take part in and influence this online shopping season. To read our full analysis, as well as recommendations for advertisers and publishers looking to optimize their back-to-school affiliate activity, please complete the whitepaper download form below.